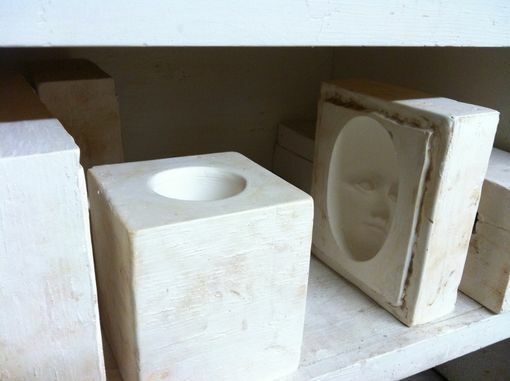 Theses face vases are all unique. 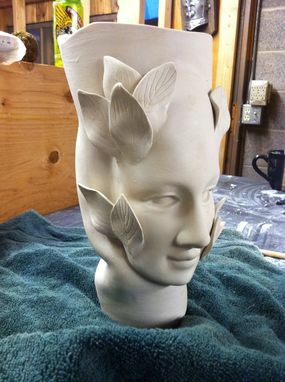 The vase is made from slip clay. I mix dry clay powder with water and add a deflocculant. This will the be poured into molds I have made from plaster. 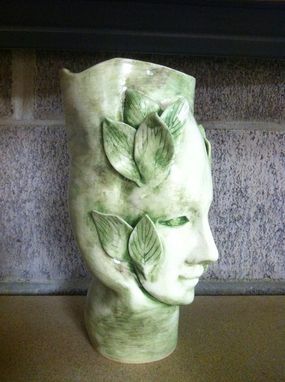 One mold is of a vase, one of a face, and another of leaves. Once I have all the separate pieces they are attached. 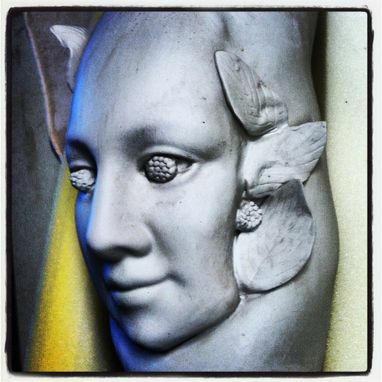 The process of adding the pieces is all about timing and having each component be the same dryness. The vases are very fragile and drying them without cracking is difficult. I add a green oxide to give the piece color and add a clear glaze so it can hold water. 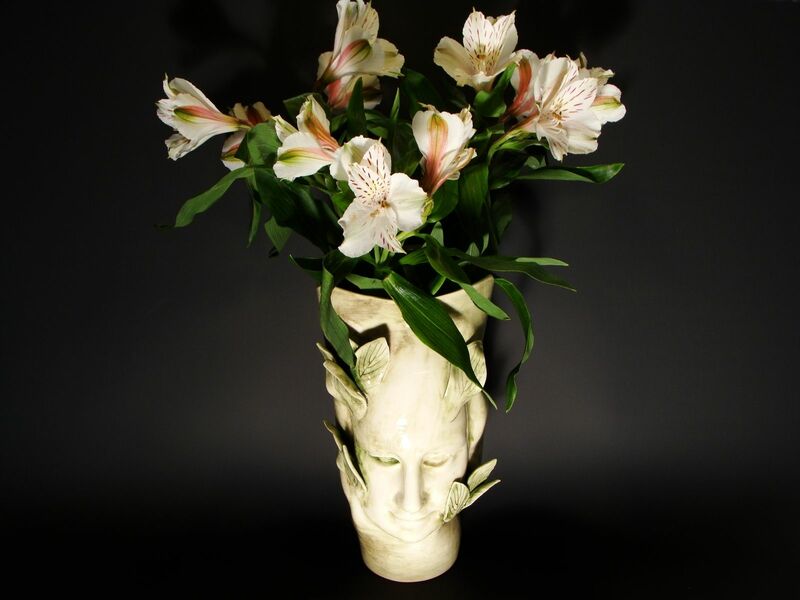 This vase can be placed on a dining room table, outdoor patio table, or hold plants. Ceramic vases are very durable to the elements but fragile.